At March, the inspiration kicks in already behind the door. This window display is from May 2017. Among other tabletop beauties, March carries a large selection of handmade high-temperature ceramics by Christiane Perrochon pictured here. Image courtesy of March. 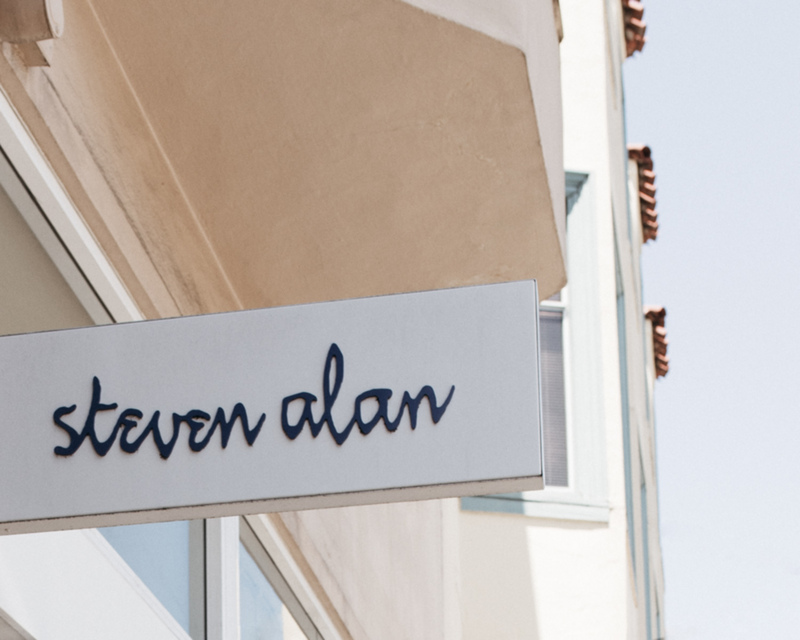 Visiting Steven Alan on Fillmore Street, May 2017. 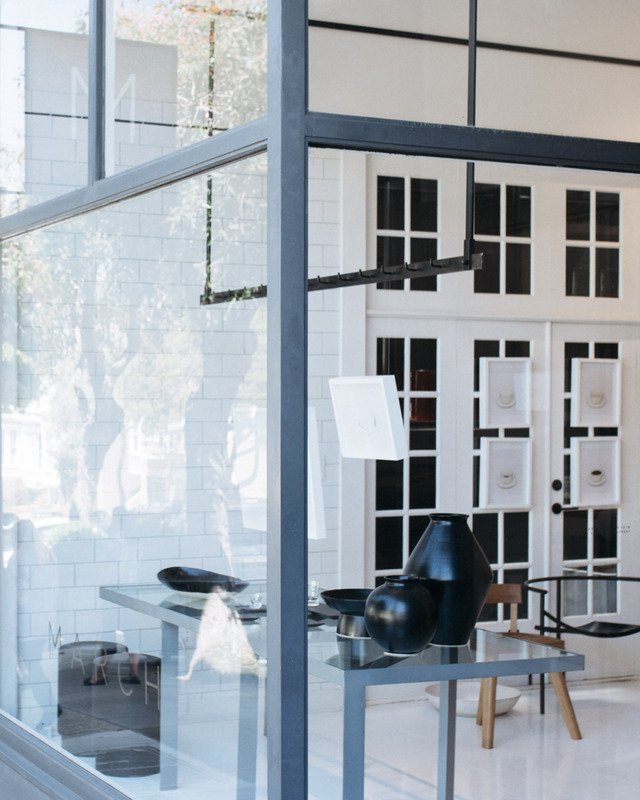 General Store is focused on creations by indie brands and local artisans. The low back cotton chemise is by Electric Feathers. Image courtesy of General Store. Matcha latte stop in Samovar Tea Bar while shopping on Valencia Street in Mission, February 2016. There was a time when I thought that New York is for style and elegance, West Coast for something else. Steven Meisel shot a brilliant editorial for Vogue Italia January 2005 issue. Named Hollywood Style, it featured more than fifty pages of deliciously tasteless Hollywood star fashion, shot paparazzi style. That is how I, living far away and knowing so little, saw LA street style in my mind’s eye. Although I cannot tell if the rich indie fashion culture of the West Coast was there all the time or not, everything looks different to me now than, say, ten years ago. New labels emerge all the time and judging by the aesthetics, it is difficult to tell, if a brand was born in Brooklyn, Venice, or Berkeley. I find small American labels creative and cozy, and those are the ones I am most interested, when in the US. Along with clothing, it is nice to find so many homeware and beauty brands as well as vintage and artisan items in the shops. A few San Francisco shopping favorites of mine. The choices on this neighborhood shopping and dining area ranges from thrift shops and vintage kimonos to established flagship stores, great ice cream, pet accessories and fine dining. 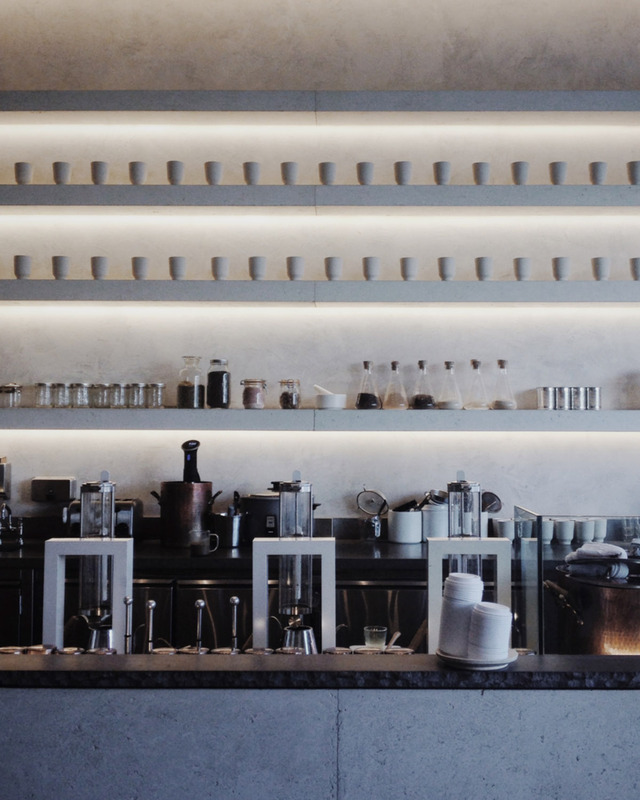 Steven Alan, James Perse, Le Labo, Rag & Bone and Aesop have stores here among others. I also love visiting Nest for small homeware and gift items, Paper Source for stationary, and George for dog accessories. Lunch stop favorite: Out the Door. It serves modern Vietnamese food in a clean, upbeat environment. Just like Fillmore, this neighborhood is packed with nice shops, cafés and restaurants. I recently found cute trousers and tunic by Black Crane at Steven Alan. Saku got a shirt. After shopping, we met a friend for drinks at Birba, a tiny and wonderful wine bar, before heading for dinner at Petit Crenn. 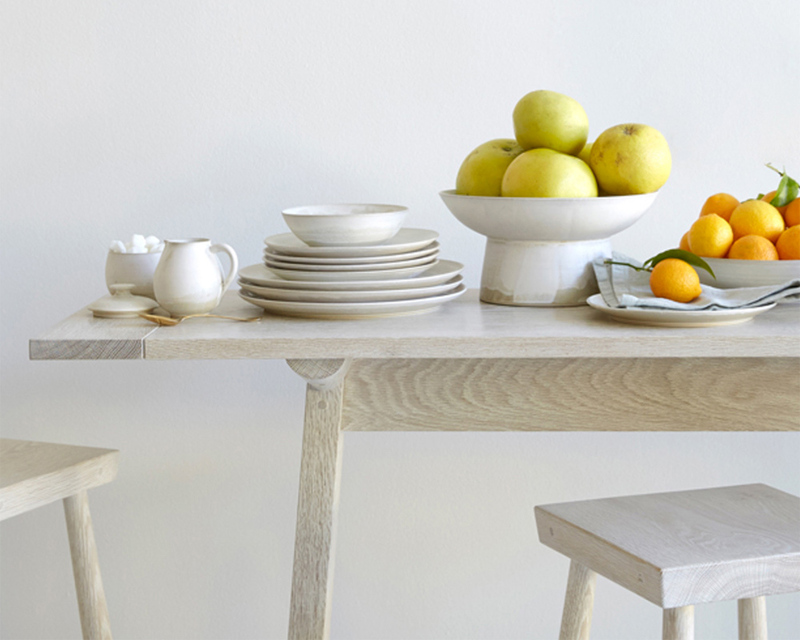 The Pacific Heights store stocks a mindfully curated collection of home goods specializing in kitchen items. Every time I step in, I feel like stepping into my dream kitchen that is still in becoming. Visiting serves as a deep source of inspiration. Wandering around and browsing the selection you can really feel how well all the items were made, and how amazing the materials are. On my last visit, I spent a good time admiring Christiane Perrochon’s ceramics until I learned the ceramicist has her atelier not too far away from where we live in Italy. March also has a beautiful website where you can explore the collections and be inspired. A delightful mix of clothing, household items, books, jewelry and other small treasures from US and California artisans. General Store also carries a nice selection of vintage items. How amazing is this 1910’s Edwardian dress for example? The Judah Street shop is super cute but located pretty far from anything else. When I visit, I combine it with a meal in Outerlands only a few doors away. General Store has a lovely site and they ship internationally. Have a look.